So you’ve already booked a trip to Disneyland after carefully setting aside the money for tickets, hotel, airfaire, all the major expenses. When you arrive at Disneyland, most everything is taken care of, except….food! Food can add on quite a heft price to a vacation or daycation, But if you know of some cheap meal hacks to make for reasonable single-serve meals, or kids meals that are a larger portion than others, you can save money eating at Disneyland for breakfast, lunch, and dinner, for just under $20/day! Lunch I bought a bag of gluten-free chips at Rancho del Zocalo, a side of guacamole, and a side of black beans. The total was $7, and I put it together for filling and healthy nachos. Dinner I got a kid’s Power Pack for $5.99, so that I could have healthy snacks in a to-go bag so I could eat dinner, save money, and have something convenient to eat while I waited for the parade to start. Look at side items! Many restaurants, such as Rancho del Zocalo, have many side dishes. If you order sides to combine to make a meal, it can often be cheaper! Look at kids meals. Some kids meals are pretty small, but others are decent size! Such as the kids pizza with carrots and apples from Village Haus, the kids sandwich, fruits, and veggies from Fiddler, Fifer, and Practical Cafe, and the bean and cheese burrito from Rancho del Zocalo to name a couple. Look at snack stands! Often times snack stands have lots of great items you can combine to make a meal: I.e., veggie and hummus plate, strawberries and chocolate dip, pickles, nuts. Go to Starbucks! Both the Starbucks inside and outside the parks have the most amazing healthy food options to fit a budget. You can get a tray with cheese, crackers, fruit, and nuts, or a tray of hard boiled eggs, bread and peanut butter, nuts, fruit, and cheese for a little under $5. The Starbucks inside the parks also have lots of sandwich options, and trays with hard boiled eggs, or mini caprese salads. I hope these simple tips and tricks are able to help you save money eating at Disneyland! 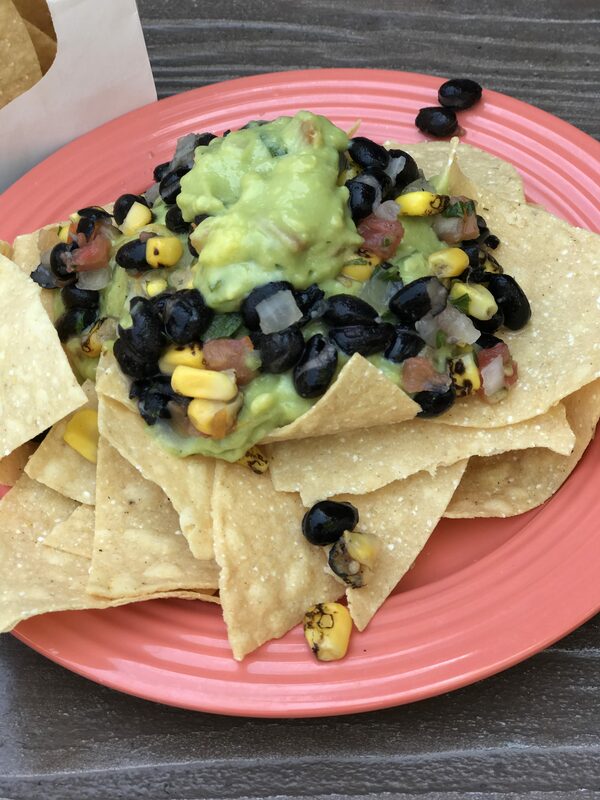 And if you are looking for more tips on how to eat healthy or eat foods that fit your dietary needs, you can check out my Disneyland food guides.